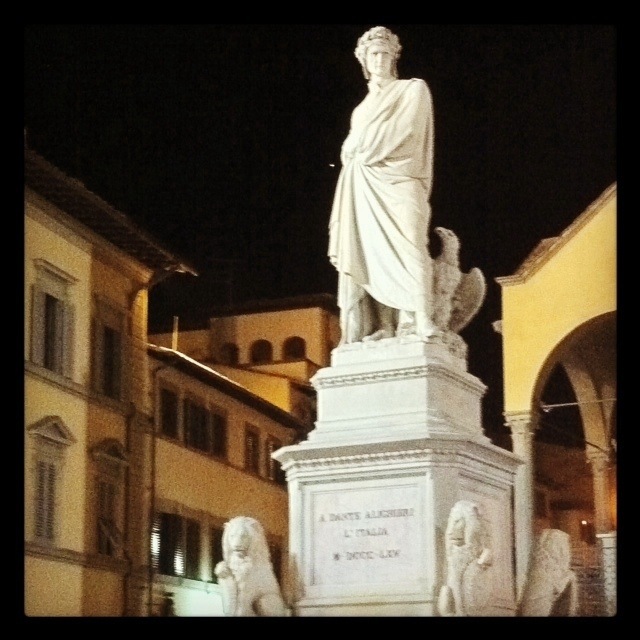 Dante Alighieri was an Italian poet. I am tapping this out on my iPhone from Florence, having left the laptop in London. My first time in Italy finds me marveling at so much grand art, and wondering if there is still a place in the post-colonial, post-modern, post-financial-collapse world for the enduring opera magnifica. Though my nickname in the seminary was “Dante”, my own poems often focus on small moments, coaxing the universal from the quotidian. To attempt to expiate like Milton these days just seems somehow naïve. Is it true? Has the grand just become grandiloquent? The epic apocryphal? What is left worth having writ large? If Signor Alighieri knows, he isn’t saying so far.